There are all kinds of trucks sweeping today’s automobile market, which can make sifting through them to find the perfect vehicle to suit your needs a little bit exhausting. At Knight Weyburn Chrysler Dodge Jeep Ram we understand that you have better things to do instead of spending hours surfing the internet until you find your ideal vehicle. 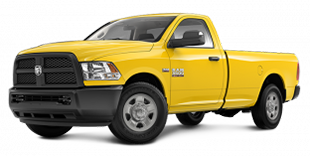 So, we’ve made things much easier by creating this list of great Ram trucks of all kinds, from pickup to van, to help narrow down your selection. When choosing any one of the vehicles in this lineup you can guarantee that you’ll be receiving a spacious, strong, and durable vehicle. Whether you’re looking for a work truck or passenger van, you can guarantee that one of the listed vehicles will be able to provide you with the towing and payload capacities that you seek. For those looking for a truly heavy-duty workhorse, the Ram 3500 has the capacity to tow loads of up to 14,157 kilograms, making it the strongest vehicle in its class. Even the Ram ProMaster City is ready to play its part by providing drivers with a best-in-class payload carrying capacity of up to 862 kilograms. But, keep in mind that these two figures are barely a glimpse into what this great lineup has to offer. Along with being able to tow and hold heavy loads of cargo, these vehicles also have more than enough interior cargo space and truck bed space to store those loads. Innovative features like those available on the Ram 2500 include in-door storage, in-floor storage, and fold-flat load floor systems to make sure that you’re able to easily move your cargo into and out of the truck bed and also have extra cargo space in the cabin. Other vehicles like the ProMaster City take interior space more seriously and are able to provide SK drivers with up to 13,108 liters of maximum cargo capacity. Regardless of where the space comes from, these vehicles make sure that you have access to plenty of it. 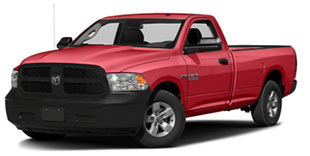 2016 Ram 1500 – Rumors of a new 2017 model of the Ram 1500 have begun to start spreading, but with no confirmed information at the moment we’ll focus our attention to the current 2016 model and all it has to offer. 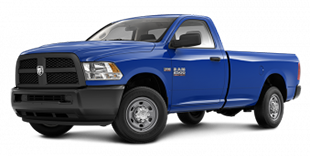 With three powerful engine options the Ram 1500 can get up to 395 hp and 410 lb-ft of torque while being able to tow an impressive load of 4,826 kilograms and carry a payload of 857 kilograms. 2016 Ram 2500 – The Ram 2500 takes things up a level from the 2500 model and gives Melville drivers even more powerful engine options to choose from, like the 6.7L Cummins Turbo Diesel I-6 engine which can crank out 370 hp and 900 lb-ft of torque. The stronger engine options help pave the way for more cargo carrying capacities, giving the Ram 2500 towing abilities of up to 8,164 kilograms. 2016 Ram 3500 – At the head of the series is the Ram 3500 which takes trucking to all new heights with Best-in-Class towing of up to 14,157 kilograms, Best-in-Class payload of up to 3,352 kilograms, and best-in-class gross combined weight of 17,736 kilograms. The 3500 also comes with the same optional 6.7L Cummins engine from the 2500 to provide maximum power. 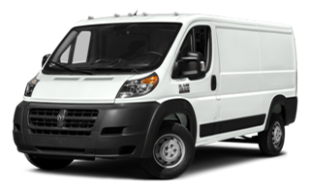 2016 Ram ProMaster – The ProMaster allows Indian Head drivers the freedom to design the interior space configuration that works best for them with various available body styles. With a Best-in-Class interior ceiling height of 1,651 mm and a maximum cargo capacity of 13,108 liters the options are endless. 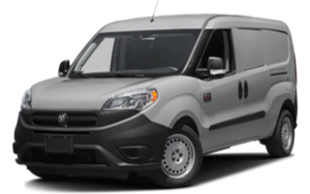 2016 Ram ProMaster City – The Ram ProMaster City is similar to the ProMaster, instead its specialty is carrying passengers. This passenger van isn’t only spacious with its max cargo capacity of 3,729 liters, but it’s also efficient and has the ability to keep fuel economy as low as 8.1L/100 km on the highway. Now that we’ve helped you narrow your list down a little more we want to help chop that list down to one. Drive home in your dream truck today, all it takes is a quick trip to visit the team at Knight Weyburn Chrysler Dodge Jeep Ram at 1627 First Avenue N.E. in Weyburn and we’ll get you started on making your dreams a reality. We can also be contacted by phone at 1-888-901-0983 with questions, concerns, or to schedule a test drive or service appointment.